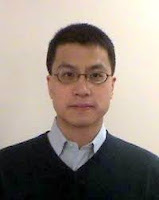 Raymond Kam is a Boston-based former psychiatrist who lost his license in 2013. When a 16-year old girl suffering from “several serious psychiatric symptoms and/or conditions” reported parental neglect and abuse to him, Kam decided that, instead of reporting the abuse (as required by law), the girl was demon-possessed. Upon deciding that the girl’s diagnosis was “spiritual” rather than psychiatric, he officially took himself off her case and appointed himself her “spiritual mentor” instead, apparently giving her a cross to wear (in exchange for an undisclosed other religious symbol) and bringing her to his church. At least the Board of Registration in Medicine voted to suspend his license indefinitely, saying his conduct called into question his “competence to practice medicine,” though they also allowed the suspension to be lifted as early as 2014 if Kam completed a psychiatric evaluation and other assessments, and entered into a five-year probation agreement – we haven’t seen any updates. Apparently Kam was supported in his assessments by another psychiatrist, Enrico Mezzacappa, who was reprimanded but didn’t lose his license – in other words, Mezzacappa is still out there preying on unsuspecting victims. Diagnosis: It’s astonishing that Kam could get through his education being so abjectly incompetent at what he was doing, but he did. At least Mezzacappa is still at large, and even Kam himself might have returned to practice; watch out.